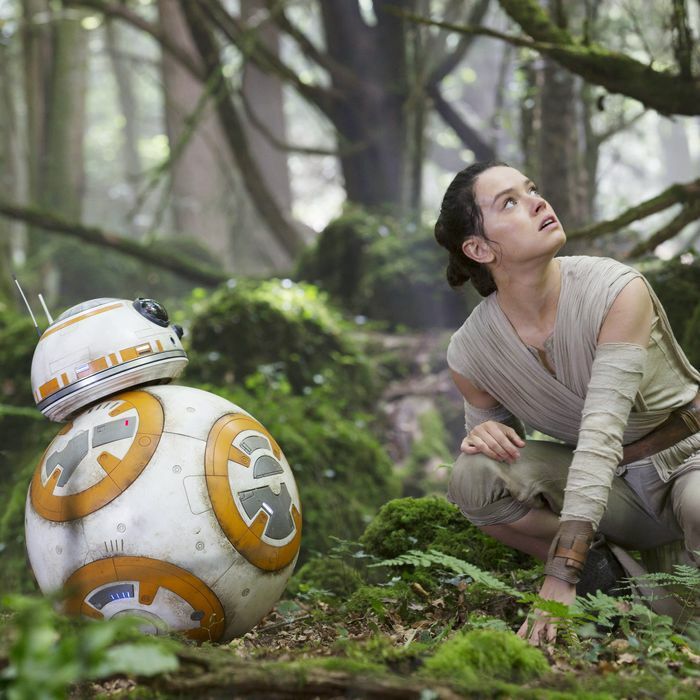 After 16 weekends in theaters, Star Wars: The Force Awakens has made $934,898,148* domestically. That’s a lot of money. In fact, in the eyes of the Hollywood Establishment, it is the most money a movie has ever made in the United States and Canada. Of course, once you factor in inflation, The Force Awakens has only made just over half of what Gone With the Wind did, and less than a number of other films, but Hollywood doesn’t generally consider inflation when determining box-office records, because, first of all, it’s confusing, and second, it’s a product of larger economic factors that people definitely can’t be bothered to factor in. There are lessons to be learned from adjusting for inflation, but it’s a different conversation than we’re having right now. Which is: The Force Awakens is the highest-grossing movie in domestic box-office history. But the run to that mark is reaching its conclusion. The Force Awakens has been under the million-dollar-weekend threshold for three weeks now, and with its theater count dropping fast, major records will remain unbroken. Despite a massive push by Disney, Star Wars didn’t beat Avatar’s record for the most money made overseas, and it wasn’t even close: As of March 28, The Force Awakens is at $1,128,400,000 combined in foreign markets, just over half of the $2,027,457,462 that Avatar raked in during its run in overseas theaters back in 2009 and 2010. The Force Awakens also trails Titanic by about $400 million in foreign box office, which means it will have to settle for third place all-time among the highest-grossing releases worldwide. Now, let’s be clear: The Force Awakens is a massive, unmitigated, historic success. But with its crazy impact in the United States and Canada, and the legacy of Star Wars behind it, why did Titanic and Avatar — both non-franchise movies, unless you count the sinking of the actual Titanic as the start of the franchise, which, congratulations, makes you a studio exec — make more than The Force Awakens away from North American shores? And how did they do it? The first notable difference between The Force Awakens and Titanic and Avatar are their timelines of money-making. When Titanic debuted on the weekend of December 19, 1997, it didn’t gross $200+ million, like The Force Awakens. It didn’t gross $100+ million. It didn’t even come close: It made $28,638,131 in 2,674 theaters, for a $10,710 average. Allegiant opened to more than that last weekend. Inflation skews the impression of these numbers, but even in 1997, Titanic had only the year’s eighth-best opening weekend; The Lost World: Jurassic Park generated the highest first-weekend yield of the year, making Jurassic World only the latest in a long history of Jurassic Park movies eventually getting overshadowed. But while The Force Awakens remained No. 1 at the domestic box office for only four weekends before relinquishing that crown to Ride Along 2, Titanic remained first for 15 weekends in a row. The Force Awakens bowed in 4,134 theaters and only lost screens from there, but Titanic didn’t start shedding theaters until the weekend of April 17, a point at which The Force Awakens will have already had nearly two weeks of home release. In tandem with that theatrical ubiquity, Titanic managed to make more than a million bucks every weekend until June 26 — over six months’ worth of weekends. It’s also the difference between an established cultural phenomenon and a new one. When The Force Awakens came out, nearly every American already knew whether they wanted to see it. With Titanic, it was a process of discovery, one that unfolded as the film and its ingredients — stars, theme song, particular scenes — grew famous. Although Avatar didn’t play as long as Titanic did, and essentially opened at its widest level of distribution, its release was still less front-loaded than the release of The Force Awakens. In its first three weekends, Avatar made $221,133,352, or 29.5 percent of its domestic first-run gross. Meanwhile, The Force Awakens made $487,411,208, or 52.1 percent of its domestic gross so far, in its first three weekends. And Avatar lasted about a month longer in theaters before falling below the million-dollar-weekend mark. Of course, The Force Awakens still vanquished both movies domestically. But the way their lives played out in theaters does provide a convenient little litmus test for the Way We Watch Movies Now. It also suggests a few conclusions: one, there is no cultural property in existence with the same power over the North American market as Star Wars; two, the known-ness of that cultural property prevents it from being the same kind of surprising slow-burner as Titanic; and three, it’s increasingly unlikely that an original movie like Avatar, which made an enormous impression with its mastery of fresh filmmaking technology like 3-D and IMAX, will come along again without the power of a preexisting franchise, barring the invention of new technology that can be similarly mastered. Extrapolating these conclusions out to the rest of the world, you can begin to understand why The Force Awakens fell so short of Titanic and Avatar. It wasn’t the blossoming phenomenon of Titanic, which, it should be added, had to compete with far fewer alternative sources of entertainment, and it didn’t have the “you’ve never seen this before” hook of Avatar, which just so happened to be a narrative that was neither married to a particular cultural demographic nor inaccessible to anyone who’s ever been told a story before. China had always been a concern for Disney, which launched an enormous marketing campaign there in the hopes of overcoming the audience’s relative unfamiliarity with the franchise. While it worked to some extent, with The Force Awakens managing $125 million there, that performance still pales in comparison to Avatar, which made $204 million at a time when China had yet to fully blossom into the enormous market that it is now, or more recent movies like Furious 7, which earned $390 million last year. The same story played out in Japan, South Korea, Russia, and other big markets like France, Germany, Spain, and Brazil: where the Star Wars brand held less sway, The Force Awakens often grossed a fraction of what Avatar made. Its success in the United Kingdom, where it outperformed Avatar, wasn’t enough to compensate. It could be a long time until we see another film have the impact that The Force Awakens did; hell, it’s not out of the question that we might never see it, at least theatrically, even though the next two Star Wars films will certainly try their best. But in the rest of the world, the gold standard is, and will continue to be, Avatar. Although the world’s taste is increasingly aligning with ours — read: capes and costumes — some things remain uniquely (North) American.